Hey all you awesome people of the Underground! It's the first of the month (Happy February to you), and that means a brand new episode of Uke Lessons! We're breaking it down with an ukulele instrumental version of Carlos Santana's, Europa. It's quick, it's dirty, it's even got a space for you to improv your very own solo in D minor. Scha-weet! It's been awhile since the last time we did an instrumental piece, so try it out and let us know what you think. February is also the official month of the Ukulele Underground Award Show ("The Undies! "), where we celebrate your favorite ukulele videos of the past year. Yay! We'll also be giving away a TON of stuff during the show, so keep an eye on the front page for the date and time, so you can tune in to watch & win! Hope your Monday is the best Monday ever! Play that uke & be merry! I am playing Europa with another person…. I am the picker, and would like to learn the Dm Improv that sounds so great when you play it. I’ve worked on this song a long time and really want to learn the Improv section that is not in your lesson. Pleeeease! I have some questions about playing this whole song by oneself. Based on Aldrines’ chord pattern and the three picking parts please advise what order is recommended. For example do you play all the chords from Gm to Dm in the pattern then do picking part 1? Then repeat the chords and do picking part 2? Etc. Also when do you use the chords that are not first position …for example the Gm on 10th fret, the Gm on 5th fret? This arrangement of the tune is meant for two players. One player doing the strumming and another to do the picking. If you’d like to perform this solo, I’d suggest a loop pedal (just loop the chord progression and solo on top of that), record the strumming pattern on your phone and play it back so you can solo on top of that, or be familiar with the strumming/chord patterns and add them whenever there’s a break in the picking. I can answer this more in depth on today’s live lesson (1/18) Mahalo for the comment! Excellent, as always, Aldrine! Your instrumental of this song is so wonderful yet slow and simple that I’m considering using it to teach my beginner ukulele students its parts for their Uke Concert,” later this year. What is “Trunk” ? 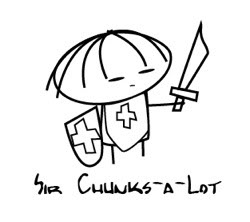 “Chunk” ? How to do “Chunk” ? Aldrine goes over how to chunk in this VIDEO. Hope it helps! Dear Alrine, Your tutorials, playing and singing here and on YouTube are simply outstanding! Mahalo for all you do and your generosity to share your gifts and talents for us to learn from, appreciate and enjoy! Super great job to video/audio/tech support team as well!!! Hello Aldrine thank you for your arrangement of this beautiful tune. I’m working on it and hope to nail it soon! I’ll also check out the playalong and play along ….? Huge thanks to you and the team. Is there a tab sheet for the dm improv? I’ve watched the video 1,000,000 times and still can’t get it ………thanks you guys are awesome !!!!! Thanks for your effort and for publishing all this amazing tutorials!!! Just the thing I need to get me out of my slump, thank you so much for you awesome tut on this! You rock Aldrine Guerrero! !! Any suggestions for a easier C7 during the improvisation? That transition is killing me! Tried forever to nail this on my guitar…all I needed was a great teacher..thax..captured on the Uke is awesome. Thanks for this piece. Very well presented lesson. I can now cross this off my bucket list. Is it possible you could do a folow up tutorial showing the advanced lead from the play along? Thanks again. I rally connect with your energy. I’m on a mission to learn this song. That’s coming from my Uke. Salamat Aldrine! I love this song, and if we could get some lessons on almost anything Gipsy Kings (somewhat similar) I would be absolutely ecstatic. This lesson is awesome! Mahalo nui loa. i love carlos santana!!!! 🙂 THANK YOU! I’v always liked this song. Good choice. Great lesson. Mahalo. Great learning tool. I am learning a slow pace: Please do not delete europa lesson. Great tutorial, easy to follow. Best I have seen – thanks! this is great! i couldn´t even play it on the guitar and you make it look so easy. Awesome lesson! The fretboard on the left makes following along really easy. I am also wondering if there are tabs to this version out somewhere so I don't have to keep rewinding the video… Either way, first time my uke sounded like music! Thanks! One of the ultimate sounds is that of Carlos Santana…it is amazing how great his music sounds on a ukulele! I cant be alone, as a memory impaired person, I need sheet music, ideally tab when I play. Maybe there is some for this song especailly…that would be really helpful! Great Job on all the videos! Thanks for doing what you do! Indispensable information on learning this piece. We had been trying to learn it from listening to the Herb Ohta Jr. version then tried the Dominator tabs that proved to be slow going for us less experienced players.